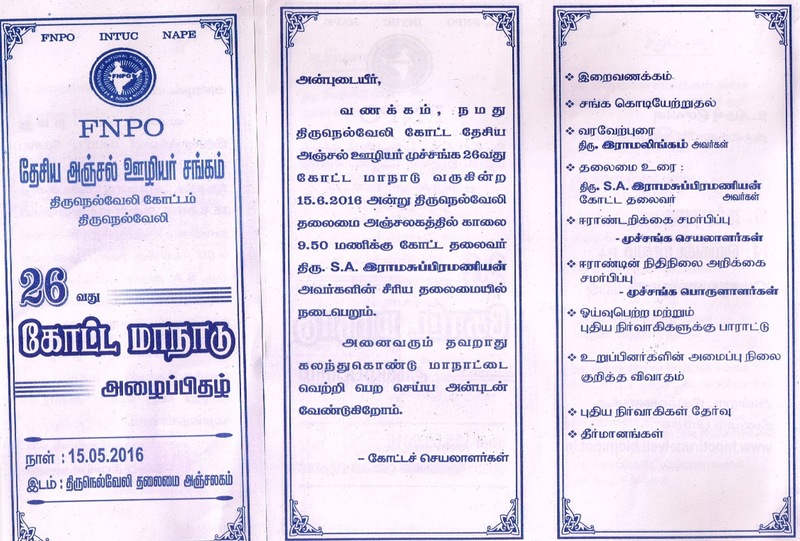 2016-05-08 ~ National Association of Postal Employees, Tirunelveli Division. CCS (LTC) Rules, 1988-Admissibility of catering charges in respect of rail journey performed on LTC.- Clarification reg. Review of performance of public servants & Service Verification – Government has option to retire any Govt employee on attaining age of 50 if found poor performer. Ministry of Personnel, Public Grievances and Pensions issued press release on review of performance of public servants. 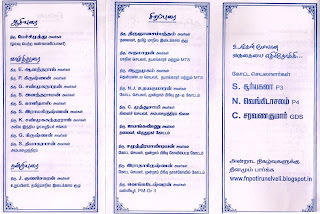 (ii) In addition, as per Rule 48 of CCS(Pension) Rules, 1972, at any time after a Government servant has completed thirty years’ qualifying service, he may be required by the appointing authority to retire in the public interest, and in the case of such retirement the Government servant shall be entitled to a retiring pension provided that the appointing authority may also give a notice in writing to a Government servant at least three months before the date on which he is required to retire in the public interest or three months’ pay and allowances in lieu of such notice. Disciplinary cases are conducted as per prescribed procedures. Normally, the details and monitoring of disciplinary cases is to be done by the respective cadre authorities. The Central Government has also from time to time been stressing on the need to complete disciplinary cases expeditiously and monitoring the same.This was stated by the Minister of State (Independent Charge) for Development of North Eastern Region (DoNER), MoS PMO, Personnel, Public Grievances, Pensions, Atomic Energy and Space, Dr. Jitendra Singh in a written reply to a question by Shri Vivek Gupta in the Rajya Sabha today. 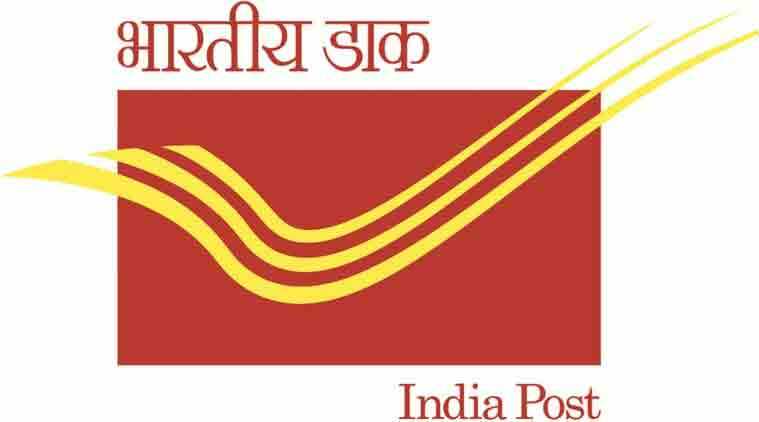 The postal department’s revenues by ways of COD consignments from e-commerce majors have surged to Rs 1,300 crore during the year ending March 2016. India Post is cashing in on the boom in e-commerce deliveries, especially the surging cash-on-delivery consignments of the country’s top online sellers — Amazon, Snapdeal and Flipkart-Myntra. The postal department’s revenues by ways of COD consignments from e-commerce majors have surged to Rs 1,300 crore during the year ending March 2016, up from Rs 500 crore during the whole of 2014-15, and just Rs 100 crore in 2013-14. 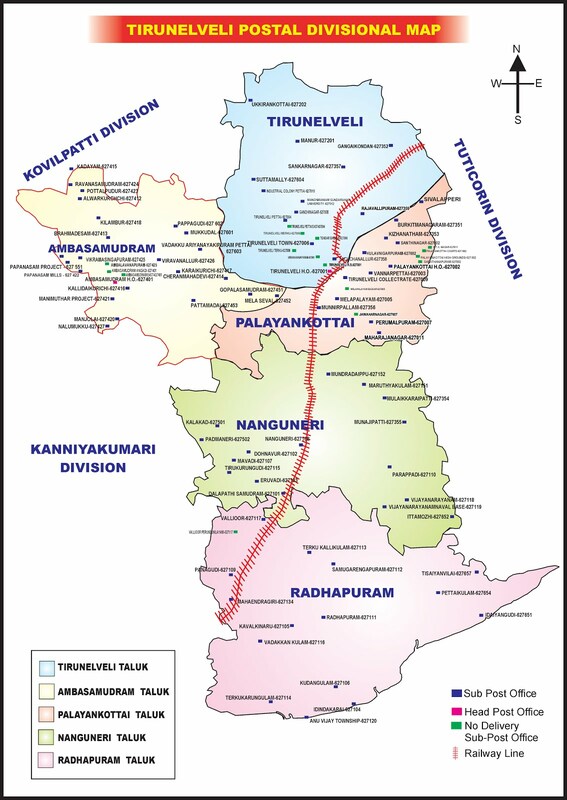 The deliveries are primarily directed at tier-II towns, and parts of the rural heartland, where India Post has unparalleled reach. The incremental e-commerce revenue boost, said Minister for Communications and Information Technology, Ravi Shankar Prasad, are proving to be a big boost for the postal department. “The postal department collected Rs 1,300 crore in COD collections during 2015-16, compared with Rs 100 crore in 2013-14,” Prasad told The Indian Express. India Post’s payment bank is slated for a March 2017 launch. The Ministry of Communications and Information Technology has moved a Cabinet note on India Post’s payment bank proposal and is likely to seek the approval of the Union Cabinet this month. India Post’s payment bank is slated for a March 2017 launch. “The postal department’s payment bank will be a game changer for financial inclusion. Several international and national consortiums for third party services are keen to partner with us. Deutsche Bank, Citi Bank, Barclays, Templeton and all the banks of India and all mutual funds and insurance companies, except LIC, for third party delivery, are willing to partner,” Minister of Communications and Information Technology Ravi Shankar Prasad told The Indian Express. The domestic players in the fray for partnering India Post include NABARD, HSBC, Allahabad Bank, Indian Overseas Bank, Kotak Life Insurance, HDFC, PNB Metlife, ICICI Lombard, ICICI Prudential, and Bajaj Allianz, while the international ones, apart from Deutsche Bank, Barclays, Citi and Templeton, include Transport USA for renting solutions, Western Union, ClearSecurity and Japan’s Hitachi. 7th Pay Commission – Cabinet Likely to Approve Salary Hike by June – Come July and the central government employees might see a hefty rise in their salary owing to implementation of the recommendations made by 7th Pay Commission. Come July and the central government employees might see a hefty rise in their salary owing to implementation of the recommendations made by 7th Pay Commission. As per reliable sources Finance Ministry is all set to seek cabinet nod for implementation of the 7th pay commission’s recommendation by June-end. Furthermore, the secretaries group is ready with its review on 7th Pay Commission. But it will submit its report once the elections in various states get over. It may be recalled that the government had set up a high-powered panel headed by Cabinet Secretary P K Sinha to process the recommendations of the 7th Pay Commission which will have bearing on the remuneration of 47 lakh central government employees and 52 lakh pensioners. Reports say that the secretaries group has recommended between Rs 2,70,000 and Rs 21,000 hike for the higher and the lower level. This is twenty thousand more in the upper limit prescribed by the 7th CPC and three thousand more in the lower level set by the commission. Pune: The department of posts has asked its staff to remain vigilant about suspicious letters after two educational institutes in the city received threat letters accompanied by detonators over the last few days. The department of posts has told its staff to be more alert and remain vigilant about suspicious mails after two back-to-back incidents wherein the Film and Television Institute of India (FTII) and Pune university's department of communication and journalism at Ranade Institute received threat letters accompanied by a detonator in last few days. The letters, sent to the Film and Television Institute of India (FTII) and Savitribai Phule Pune University's department of communication and journalism at Ranade Institute, warned both institutions not to invite student leader Kanhaiya Kumar to their campus. Staff members of the postal department are expected to alert higher authorities if they notice any mail that looks suspicious. Senior officials said that although the staff cannot open mails, there is a general instruction to remain more alert while handling the post. A suspicious mail can be of any nature, such as a letter without a proper address of the sender, without postal stamps, or mail packed in an envelope in specific colour, among others. Senior officials will now pay more attention to such letters. Officials in the department however said it is a difficult task to keep track of every letter received and dispatched from post offices. At present, the department asks for an identify proof of a sender in case of parcel booking or registered post. However, there is no such provision for ordinary mail. Anyone can drop a letter in a post-box. The letter is collected from the box and sent ahead for dispatching. As of now, there is no provision to scan the letters before dispatch. "Over a lakh letters are handled everyday across various post offices in Pune alone. The department is expected to collect or dispatch a post at a given address. The quantum is so huge that it is very tough to check each letter. Even so, in case of a parcel, it is mandatory for a sender to seal a post in the presence of the postal staff," an official said. The department has gone a step ahead while dealing with speed post as well as registered post as maximum details of the sender and receiver now get saved in a system and the documents can also be tracked. An ordinary post is treated as a special case only if there is a damage to a document. Installation of scanners will require a huge investment in addition to changes in existing rules and guidelines, the officials point out. Meanwhile, postal officials said on Tuesday that they were cooperating with the police in the investigations in the letters and detonators sent to the two institutes. Preliminary observations by the police department has revealed that the letters were sent through ordinary post. The contents of the envelopes were similar a live detonator, some yellow powder and a letter. New Delhi- 110070. Ph. 26139295, Fax 26130594. Sub: Review of Service Rules reference received from DoPT-reg. 2. The administration of cadre(s) of the Organized Services of the Union is done based upon the provisions as contained in the Service Rules(s). The policy change(s) in terms of financial up-gradation, grant of promotion, composition of various Committee(s) for promotion, qualifying service in various grades, are brought for the benefit of the members of the Service. It has been observed by DoPT that several recommendations of Pay Commission have not been incorporated in the Service Rules. 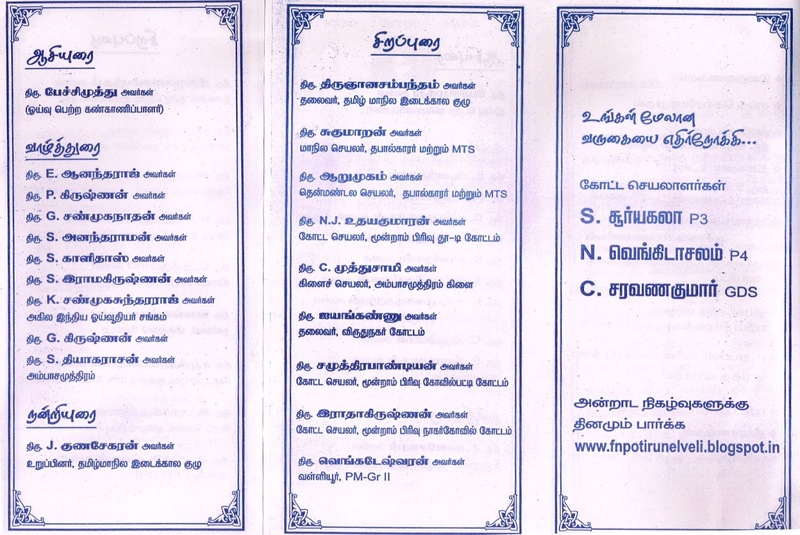 (Copy of OM is enclosed). 3. 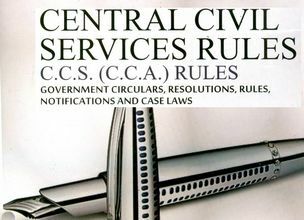 In this regard, I am directed to request all the Pr.CCITs(CCA)/Pr.DGITs to undertake revision of Service Rules of Organised Services under their administrative control. I am further directed to request all the Pr.CCITs(CCA)/Pr.DGITs to indicate the time frame by which they would revise the Service Rules of organised Services under their administrative control. Government may not Scrap 145 year old Pension Act – The government had almost decided to axe the 145-year-old Pension Act in its zealousness to heed the Prime Minister’s call to scrap obsolete laws. A last-minute realisation may have saved the Central government from blowing away the legal cover available to authorities right from the President and Supreme Court judges to ministers and members of Parliament against any orders of attachment of their pensions from the courts. The government had almost decided to axe the 145-year-old Pension Act in its zealousness to heed the Prime Minister’s call to scrap obsolete laws. But at a meeting held on April 28, minutes of which have been accessed by ET, several ministries pointed out that no other law protects government authorities from seizure or attachment of pension by process of any court at the instance of a creditor who raises a demand against the pensioner. This led the government to consider doing away with some of the “irrelevant or redundant” provisions of the Pensions Act, 1871 instead of repealing it. The final decision will now be made by Prime Minister Modi, who heads the pensions department of the personnel ministry. The government has so far repealed 125 archaic laws. It has proposed to scrap over 1,000 more such laws. The representative of the Department of Financial Services (DoFS) said at the meeting that the Pensions Act is applicable to pensions under a large number of rules and Acts of Parliament. “He specifically mentioned that pensions of the President, vicepresident, ministers and MPs are regulated by Acts of Parliament. Similarly, pensions of Supreme Court/high court judges, central vigilance commissioners, central information commissioners and members of UPSC are also granted under Acts regulating their service conditions. These Acts of Parliament do not contain provisions securing the pension against attachment,” the minutes recorded. Only Section 11 of the Pensions Act provides this protection to the constitutional authorities. When the pensions department proposed that the rules regulating various types of pension be amended to secure the pension and hence facilitate repealing of the Pensions Act, all ministries raised objections. The home ministry “expressed apprehension” that the protection against attachment by courts, if provided in rules, “may not be as effective” as that provided in an Act of Parliament. The rural development department concurred, saying all social security pensions administered by it are through executive orders and any provisions for security against attachment by court “may not be effective” as the provisions will not have any statutory backing. The ministries of environment, culture and external affairs, and the departments of telecom, expenditure and posts said they do not even administer any separate pension rules. The financial services department said the government will have to amend all other Acts and rules regulating various kinds of pension to incorporate the safety net, if the Pensions Act is to be repealed. It proposed that instead of amending a large number of Acts and rules, the Pensions Act may be amended to repeal only those provisions which have since become irrelevant or redundant. “Ministries of home, labour, rural development, defence, railways and DoPT endorsed the views of the Department of Financial Services… the aforesaid views of the ministries/departments will be placed before competent authority for taking a decision in the matter,” the minutes noted. New Delhi: The review committee of 7th pay commission launched in January in the hope that it will give central government employees better pay and more solid base for fighting inflation. The review committee is likely to purpose the better pay package of central government employees employees than 7th Pay Commission recommendations, the employees can expect a higher package from July. The review committee aims to sweep away complexities in the existing sixth pay commission award and give central government employees a clearer idea of how much salary income they are likely to get. The current salary system is made up of two parts of basic pay: the pay band as well as the additional pay i.e. grade pay which is extra money on top. But the new salary will be at a single-tier rate to get rid of the employees from the complexities, Finance Ministry sources said. It is part of efforts as central government employees are getting car advance and computer advance etc on the basis of pay band only, so they are not getting enough cash for purchase of the above items, the sources added. 7th pay commission recommended that Central government employees should not be allowed to earn annual increments if they fail to meet performance criterion, Commission also recommended even as it sought upgradation of performance benchmark to “very good” from “good” level. The pay commission also proposed introduction of the Performance Related Pay (PRP) for all categories of central government employees. The review committee believes that increments as well as upward movement in the hierarchy happen as a matter of course. The review committee is therefore likely to propose not withholding of annual increments in the case of those employees who are not able to meet the benchmark either for MACP or a regular promotion, sources said. The review committee is also considering doubling of existing rates of allowances and advances including the those were recommended for abolition by the Seventh Pay Commission, sources confirmed. Finance Minister Arun Jaitley received the 7th Pay Commission’s report from its head Justice A K Mathur in November, who recommended 14.27 per cent increase in basic pay, overall increase in salary, allowances and pensions 23.55 per cent. They proposed to increase in allowances by 63 per cent while pensions will rise 24 percent. As per norms, a government employee gets to and fro journey cost reimbursement when he avails LTC. 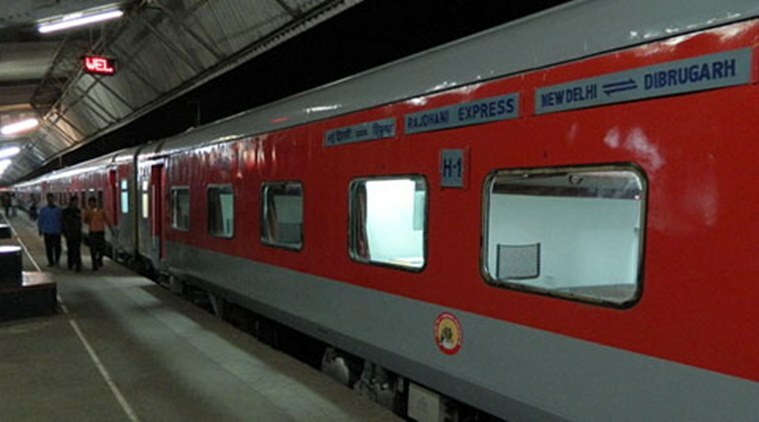 Relaxing Leave Travel Concession (LTC) rules, the Centre will now reimburse full train fare incurred by its employees on purchase of tickets for their children aged between five and 12 years. The move comes after Department of Personnel and Training (DoPT) received several references from various ministries seeking clarification as to whether the full fare charged by the railways for reservation of berth for children between 5 years and 12 years shall be reimbursable while availing LTC facility. 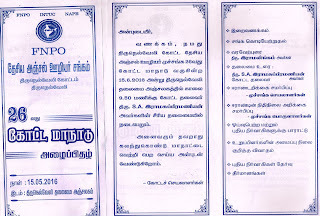 The matter has been examined in consultation with Department of Expenditure, Finance Ministry and it has been decided that for the family members of the government servant, aged between 5 years and under 12 years, the actual rail fare shall be reimbursed for LTC, as per the choice of rail tickets purchased by the government servant, an order issued by the DoPT said. Ministry of Railways had earlier decided that in case of children above 5 years and under 12 years of age, for whom full berth or seat is sought at the time of reservation, full fare shall be charged. The order said if a berth or seat has not been sought for such children at the time of reservation, then half of the adult fare shall continue to be charged. This would be effective for travel with effect from April 10, this year.